As you can see from the above photo, I've been lucky enough to shoot some amazing outfits in some beautiful locations across the world over the past few years but my favourite shots have to be the ones that I've taken in beachy, sunny locations. There's something about the soft, warm light leaking into the outfit shots that make them so much more beautiful than any other and of course, having a wonderful backdrop to set the tone doesn't hurt either! 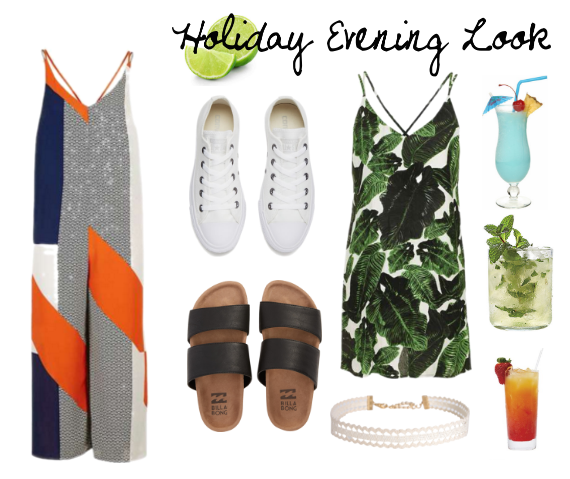 I've put together my dream holiday wardrobe, including everything from daytime outfits to evening to beauty to the location and boy oh boy is it making me want to jet off again! When it comes to daytime looks, I like to wear separates. They're easy to mix and match, creating entirely different looks with the same pieces and denim shorts are obviously an essential. I love the embroidery on this pair and teamed with the black bardot top, leather-look cap and sunglasses it creates a really edgy, laid-back look that's super wearable and most importantly, practical. Sliders fast became my favourite style of holiday footwear last year and I've bought so many pairs for my holidays so this pair from Topshop may have to go on my list too! Also, what I tend to do during the day on beach holidays is constantly wear a bikini or swimsuit underneath the outfit. It means you can easily go on a spontaneous trip to the beach without having to pop back to your room and I don't know about anyone else but I think there's something really cool about a pair of denim shorts teamed with just a bikini top! I may be about separates for during the day but on a night I think dresses and jumpsuits are the one. They're so loose fitting they're perfect for keeping you cool in the stuffy night air and they're so easy t style. The dress and the jumpsuit I've chosen here are both from Topshop and the reason is versatility. They may look like they can only be worn in one way but the beauty of pieces like this is that they can be worn on the night with a nice pair of sandals or sliders with your hair and make-up done, but they can be worn as a cover-up the next day over a bikini or swimsuit, meaning that's one less outfit you have to take in your case. How cool would he jumpsuit look sitting by the pool with a cocktail, watching the sunset? When holidaying, beauty choices are so important especially if you haven't got much room in your hold luggage; that 100ml hand luggage rule can ruin your life. That's why you have to pack wisely! When it comes to holiday make-up, I'm about keeping it simple because let's face it, we don't want to be sweating foundation out of every pore within the hour. BB Cream, a bit of bronzer and some highlight is all the face make-up I wear, perhaps a bit of concealer to finish up any blemishes. I'm all for liquid matte lipsticks abroad too - they literally stick to your lips so won't melt off you immediately. Finally, eyeshadow palettes are such a space saver and will give you every shade you need for your trip, the Naked Basics being a personal fav already. As for hair, it's gotta be a surf spray to combat the sheer humidity. If I try and style my hair at all on my hols, I end up looking like a poodle fresh out the grooming parlour so I like to keep it natural with a few squirts of salt spray to get those beachy, non-frizzy waves. The brand I would most like to try out though has got to be Bliss; don't they just look perfect for holiday? I've heard amazing things about the Fabulips Lip Plumper (especially being partial to a good big lip myself...) and, perhaps not so glamorously, the Fuzz Off Facial Hair Remover Cream. Hair removal creams always terrify me but this one sounds like it'd be great if you just want to get rid of a little bit of a tash for your jollies. It only takes three minutes and just goes straight on your face to get rid of that pesky hair! The Bliss website has some amazing products for not only looking great on holiday, but also feeling great which is such an essential for making an outfit work while you're away! 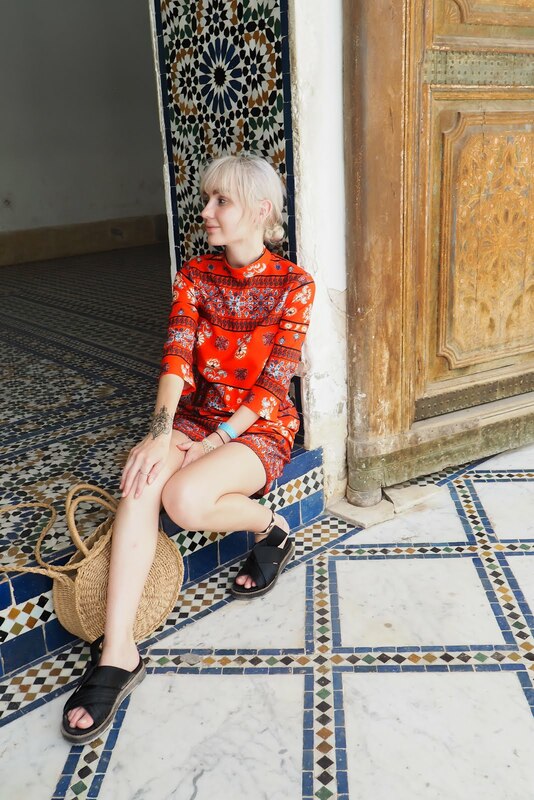 And of course, no holiday wardrobe for a blogger is complete without a simply stunning backdrop and that backdrop would have to be in the beautiful Ibiza. I was in Barcelona a few weeks ago (remember to catch all of my posts about it!) and the backdrop for all of my outfit shots was so stunning it was hard to take a bad photo and Ibiza would just be amazing. 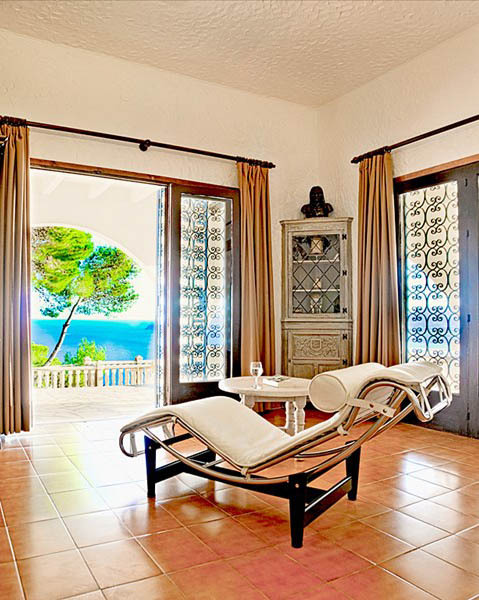 I've been once before when I was younger and remember just how beautiful the white sandy beaches are with the white sands, beating sun and Spanish culture and of course, the backdrop would be in this Clickstay villa. I mean, would you just look at that view? If that's not the definition of "instagrammable" I don't know what is. Imagine the palm trees waving, the warm breeze blowing, the sound of people having a great time below you on the beach as you pose for the perfect shot....and then head off to the little hot tub for a cool down. Can you imagine the views of the sunset from up there?! 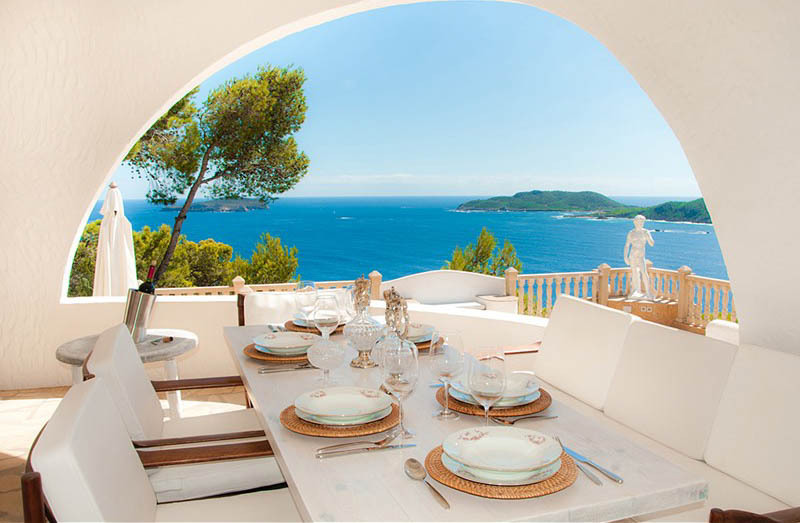 Clickstay are giving you the chance to win a £500 villa voucher and a suitcase just commenting on their competition page with your ultimate travel item and the link to your fav Clickstay villa! Pretty cool huh!? This is also my entry for their Style Your Way To Spain competition so let's have some good luck my way ey?!? Yessss! This makes me want to jump on a plane, like RIGHT NOW! Love the off the shoulder top and leather finds! Love it! This makes me sooo excited for my holiday. Awesome things here. I am very satisfied to see your post. Thanks so much and I'm having a look ahead to touch you. Will you kindly drop me a mail? Book your cheapest flight ticket with exclusive deals in uslocalflightbooking.us. We offer USA Domestic Flight Tickets for US Local in Cheap price. US air flight, united airlines flights, USA air tickets, US local cheap flight Ticket, American airline tickets, US plane tickets, United air, Local flight, flights in local, Domestic air ticketing, local domestic flight, USA internal flight, cheapest air ticket, cheap flight of local, Delta flight, book cheap flight.